As hotter temperatures continue throughout the summer, more people are using the Truckee River, reservoirs, and local lakes to "cool off," recreate and to fish. But rivers are inherently dangerous places to play, especially when the water flow is high, fast and cold. Washoe County Search and Rescue team water rescues are on the rise, and water safety has become their number one priority. 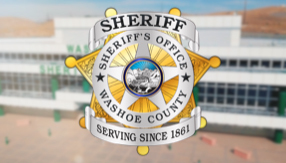 The Washoe County Sheriff's Office Search and Rescue (SAR) cautions residents to use extreme care while on the Truckee River. Although it is not mandatory to wear a personal floatation device downstream, it is highly recommended. The other threat aside from the swift water is water temperature. The heavy mountain snow melt flows into the Truckee River, creating waters that are frigid and dangerous. It is not uncommon to treat for hypothermia even in the hottest summer months. And even the best swimmers can drown from rapids, rocks and water exposure. If using a kayak or inflatable raft, be sure to write your name and phone number on the inside with waterproof marker. If you overturn your boat or raft, this information will significantly help SAR teams in their search and rescue efforts. Additionally, if you lose your boat and are safe, this avoids the high risk and costly rescue efforts in searching for the "missing" person. Never kayak/raft alone. A partner with you or on land can provide assistance in most circumstances or summon help if needed. Wear safety gear: U.S. Coast Guard approved Personal Floatation Device (life jacket), helmet and insulation. Avoid hypothermia by not staying in the water for long periods of time. Keep children under close supervision at all times and never let them enter the river alone. Children should always wear a life jacket/personal floatation device when entering the water. Recognize your limitations and plan your excursion realistically. The Truckee River is higher and faster this year. Check water conditions and make conservative decisions before getting in the water. Never boat after dark. Know where the entry and exit points are located. Be aware of potential hazards, such as deep and shallow areas, currents, depth changes, and obstructions. Watch for debris in the water. The higher water has picked up debris from low water areas making navigation more difficult. Don't drink alcohol and get in the water. Alcohol clouds judgment and makes you more susceptible to hypothermia. Watch out for the dangerous "too's" - too tired, too cold, too far from safety, too much sun, too much strenuous activity. Carry basic self-rescue gear and practice using it. If you do fall in, don't try to stand up. If a foot gets caught in the rocks, the water could hold you under. Instead, try to float on your back with feet pointed downstream while working your way toward shore.